The Manaslu region lies in north-west part of Nepal, which is a remarkable area to explore. It is bordered by the Himalayas in the north. Manaslu Walking Holidays offer highly adoring panoramas that has many things to show you. A natural showcase in Manaslu includes evergreen forest in the Manaslu conservation area project (MCAP), snow leopard, breathtaking Himalayas and amazing terraced hillside. 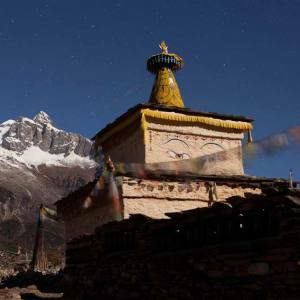 Culturally, An opportunity to learn ethnic and indigenous lifestyles, social communications, and barter system and Tibetan Buddhist heritages display the key features of the Manaslu region treks. The primary attraction, Mt. Manaslu (8156 meters) is the world’s 7th highest peak in the world. Manaslu Circuit Trek (crossing the Larke pass) and Lower Manaslu Circuit Trek are popular trekking packages in this region. Tie up your lace and go to walk in the Manaslu region and contact Nepal Kameleon Holidays for booking the trips.